Chic and stylish: The Maritim Hotel Königswinter, popular business and holiday hotel at the Rhine/ Germany, has been completely renovated. A total of eight hotels with more than 3,000 rooms have been extensively renovated so far. The Maritim Hotels in Stuttgart, Koenigswinter, Ulm, Munich, Darmstadt, Hanover, Bad Homburg and Cologne are gleaming with renewed splendour following comprehensive modernisation works. 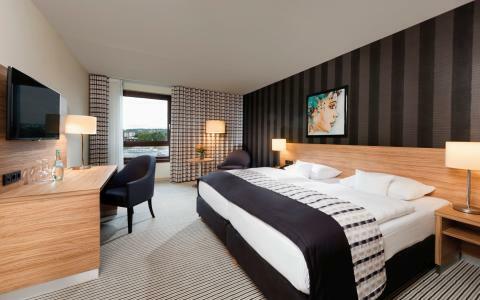 Renovation of the Maritim Hotel Bonn will start this year. This signals that Maritim is forging ahead with its very successful modernisation offensive. In spite of the renovation work, the total turnover of Maritim Hotelgesellschaft in Germany rose significantly to 375 m euros. However, the total turnover of 453.5 m euros for all hotels under the Maritim brand name decreased compared with the previous year (475.1 m euros). The unfavourable bookings situation in the Egyptian and Turkish holiday regions are responsible for this. Maritim operates hotels solely under franchise or management contract in these areas. “It was a strong year for Maritim in Germany, which confirms our business strategy and motivates us for the coming financial year,” summarises Gerd Prochaska, the Chief Operating Officer. According to him, the positive operating result can be put down to the highly attractive renovated hotels, the boost in direct sales and more effective customer management, as well as the generally positive economic situation, combined with a consistently high number of business and conference guests. “On top of this, more Germans are spending their holidays in Germany and so city breaks “at home” are becoming more and more popular,” explains Prochaska. 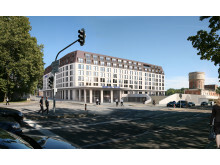 The Maritim Hotel Ingolstadt is set to open in 2020. At the end of last year, plans for the new Maritim Hotel on the former foundry site, with 223 rooms and suites, were approved with a large majority by the local council. Maritim Hotelgesellschaft will run the hotel and the neighbouring conference centre. The group’s architects, Reinhardt and Sander, are responsible for planning and constructing the new Maritim Hotel and conference centre. 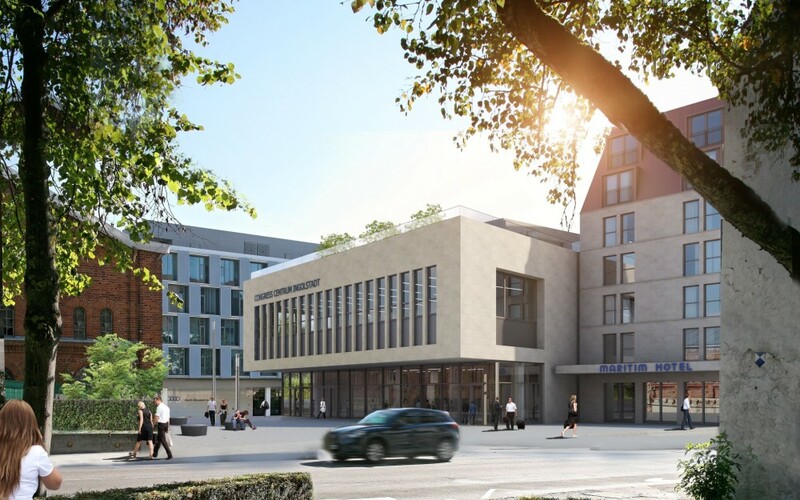 The Maritim Hotel Ingolstadt will offer its guests a main restaurant accommodating around 200 guests, a bistro, a café and an elegant hotel bar. 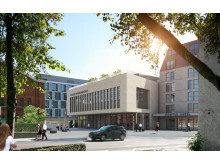 It will be prominently situated in a prestigious city centre location on the Danube next to Ingolstadt’s Neues Schloss and will be directly connected to the new and innovative Ingolstadt conference centre. The pre-opening office has been set up and the plans are well under way: The largest Maritim Hotel to date, and one of Europe’s largest conference hotels as well, will open in Amsterdam in 2020. The hotel will boast 579 rooms and suites, as well as conference facilities for up to 4,750 people. 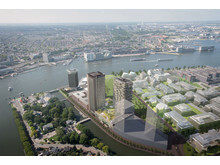 “We see enormous potential in Amsterdam, particularly in the conference and events business. Maritim has nearly 50 years’ experience in this field. Moreover, Maritim Hotels always stand out from the crowd with their excellent locations, and this is true of the Amsterdam hotel, with its position in the Overhoeks district. There are lots of opportunities for development in this location, which is central, modern and has excellent infrastructure,” explains Dr. Monika Gommolla, chair of the supervisory board and owner of Maritim Hotelgesellschaft. 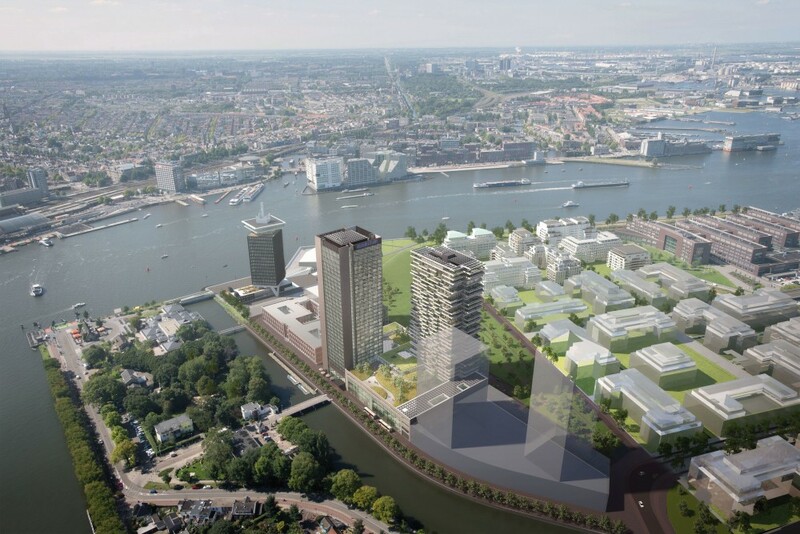 With 34 floors, the 4-star-plus Maritim Hotel Amsterdam will be the tallest in the city. The modern tower is being built directly opposite the main railway station, and guests will enjoy magnificent views of the old town and the city's famous harbour. Maritim’s growth strategy is making strong headway in the Asian market and this year the group will open two more hotels in large Chinese cities with populations of over a million: The Maritim Hotel Hangzhou, with 300 rooms and suites, three restaurants, a swimming pool, an exclusive spa and fitness area as well as extensive conference and events facilities. In addition, the Maritim Hotel Hefei, which is equally suited to business travellers, with 335 spacious rooms and suites, two restaurants, a “German bar” and a diverse range of conference and events facilities. “Maritim Hotelgesellschaft has many years of expertise on the Chinese market, gained from its three well-established hotels in Shenyang, Changzhou and Wuhu. The new Maritim Hotels are likewise in the best locations in the most dynamically growing regions and they will further enhance Maritim’s brand awareness,” explains Dr. Monika Gommolla. Maritim also continued to boost direct sales very successfully last year: Booking sales through www.maritim.com rose by around 20 percent during the last financial year. For the first time, the company-owned Maritim website is now the second most important online booking channel. Every third booking by Maritim customers is made online. “As an owner-managed hotel group, it is a constant challenge to assert oneself in the highly competitive hotel market. The very good performance of the business demonstrates that our approach of “renovation with a sense of proportion” is successful and is positioning us well for the future,” said Gerd Prochaska, Maritim’s CEO. Looking at international business, Prochaska adds: “Of course, we would also like to see a more stable global political situation, which would benefit the Maritim hotels in Egypt and Turkey, and we hope that the number of holidaymakers choosing to travel to those holiday regions will increase again in 2017. The first signs of this can already be seen,” says Maritim’s CEO optimistically. Business at the Maritim Hotels in Mallorca, Malta, Tenerife and Mauritius is growing particularly positively: “We are very pleased with the way the business is performing here, which is already underpinned by excellent figures for advanced bookings,” concludes Prochaska. Maritim currently operates 47 hotels, including 14 outside Germany. Maritim Hotelgesellschaft is Germany’s largest owner-managed hotel group, and the company’s nationwide hotel network is represented by hotels in six countries overseas: Mauritius, Egypt, Turkey, Malta, Spain and China. The group’s ongoing expansion continues to strengthen its position within the European first-class hotel industry. For more information, please visit www.maritim.com. 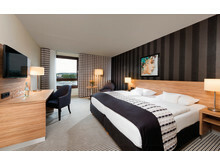 Freshly renovated: All rooms have been fully re-designed in the Maritim Hotel Königswinter, Germany. Opening planned for 2021: Maritim Hotel Ingolstadt with Congress Center, Germany.